Your old tax returns still have value. Small-business owners looking for tax relief would be wise to review the past years’ filings, for a number of reasons. For one, there may be opportunities to amend your returns to receive tax refunds, which could provide some much-needed cash. 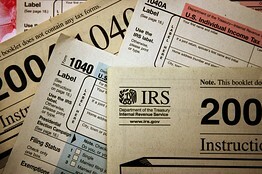 And for another, old filings can remind you of carryovers and other deductions that you can plan to take this tax year. Call us now for a free review of your last 3 tax filings.